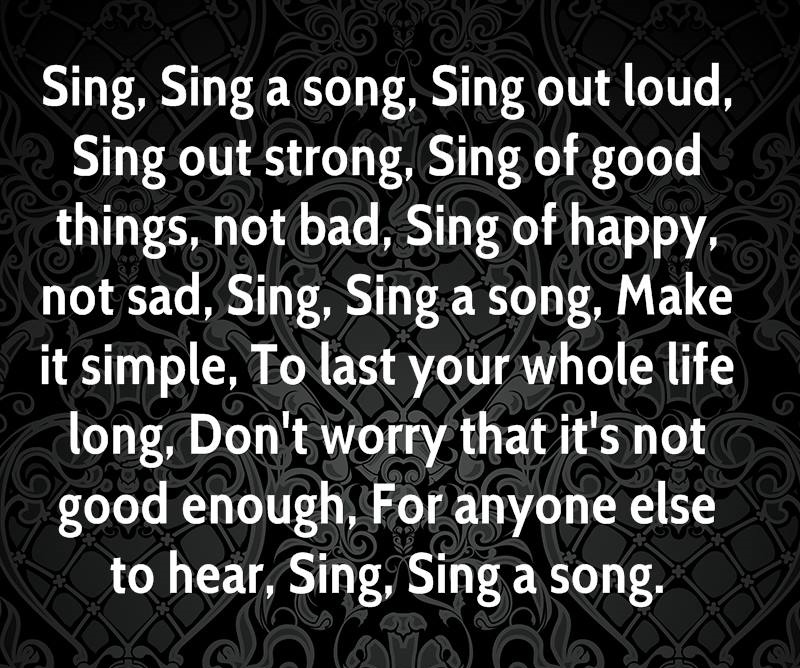 Sing, Sing a Song, Sing out Loud, Sing out Strong! Show of hands, who thought of Sesame Street when you read (and by that I mean sang, you know you did!) that? You may have guessed that the first part of this post is related to music. I've been having a fun time creating "commercials" and Watch Me Work videos. My newest commercial is for my line of Music jewelry. I was able to get my husband's band RevStat to let me use an instrumental of theirs for the background. I figured I'd give you a little entertainment before my "business" portion of the post. I welcome all comments on the video! Be sure to subscribe to my YouTube channel so you don't miss any of my commercials, watch me work videos or maybe some funny things. As I mentioned in a previous post, you'll be seeing some information that may seem weird for my blog due to the class I'm taking this semester. This is one of those, but many of you may find this useful, especially if you own a business or are in charge of marketing at your job. Being a jewelry designer, I follow two blogs from suppliers that I use. These blogs are very important to me as they keep me up to date on trends, products and techniques in the jewelry industry. The Studio by Rio Grande contains a lot of great information on the happenings in the world of jewelry and jewelry design. Their blog is my go to read for finding out all the cool new tools in the industry. The other jewelry based blog I read all the time is Strung Out by Beadaholique. This blog is great for new techniques in beading and stamping as well as new products on the market. All businesses need to market themselves and since my business consists of only me, I have to stay up on marketing trends. Since Social Media is the cheapest (i.e. FREE) and easiest way to market a small business, I read a few blogs that cater to social media marketing. One that I a folder set up in my email for is the Social Media Examiner. This is my go to blog for all things Social Media. They keep informed of all the changes and have great tips. I love their post this week on "Finding Your Voice". Great tips on speaking on videos and podcasts, both of which I need help. I get so nervous, even though I'm home alone. Part of that is I really don't like the sound of my own voice. The other two blogs I have bookmarked are Razor Social and Smart Insights. I hope you have all found some, if not all, of this post informative and maybe a bit entertaining. 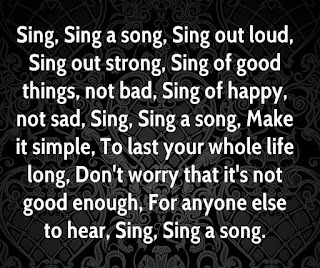 And remember - Sing, Sing a Song. La La La La LaLa, La La La La LaLa, La La La LaLaLaLa.